IRS Installment agreements can make paying back taxes much more manageable. But while Installment plans can help your credit score, it can get tax liens withdrawn and turn a significant tax problem into a flexible situation. Also, it requires the assistance of a Chicago tax attorney with knowledge of current regulations and guidelines. The IRS is determined to collect outstanding tax debt as quickly as possible. When the IRS decides that you do not have assets that can be liquidated to cover your tax liability, they will begin to look for other options. One of these options is to set up a payment plan that you can afford to pay on a monthly basis. To qualify, you must have some form of disposable income that can apply to your tax liability monthly. This income is any income left over from all your monthly expenditures. Michael C. Whelan JD CPA can assist you in developing an IRS installment agreement in Chicago, Illinois based on your specific economic situation to negotiate an affordable monthly installment with flexible payment options. 1. If you owe less than $10,000 in back taxes, excluding your penalties and interest that have accrued. 2. You must have been current with paying and filing your tax returns in the previous five years. You must not have entered into an installment agreement within the last five years as well. 3. When you apply for IRS installment agreements, you must agree to pay your liability in full within three years. 4. You must agree to comply with tax laws and the installment agreement up to the three-year time frame that you are expected to pay the liability in full. 5. You must submit financial records to the IRS if requested. These records help to verify that you are unable to pay your tax liability in full without an installment agreement. Streamlined Installment Agreement: This is an option where you are repaying the IRS the tax debt that you owe. Your tax debt should fall equal to or under $25,000, and you have a period of 60 months to pay the full balance. Partial Payment Installment Agreement: This is an option where you make payments what you can manage on a month to month basis. The amount of time is longer than 60 months compared to the Streamlined Installment Agreement. When it comes to Installment Agreements, it takes less paperwork to set up with the IRS. 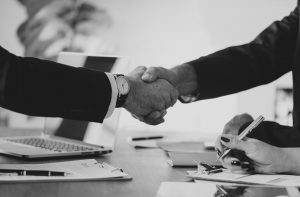 If they reject you from your Offer In Compromise proposal, Installment Agreements can help to provide the solution you are looking. With the benefit of having an accurately structured Installment Plan so important, please contact the office at (847) 298-9275 for a consultation to discuss your situation and to receive help negotiating a fair and reasonable Installment Agreement.